A person’s car is part of their identity. Every time you have passengers in your car, you want them to feel comfortable in your car, or maybe just impressed by it. That is difficult to accomplish if they are greeted by the smell of your old gym shoes, or whatever fast food you last ate. It’s also difficult if they are suffocated by the smell of a bad air freshener. So to help you to have the best-smelling car out there, we have put together a selection of some of the most common car air fresheners, and smelled them all so that you don’t have to! Here are some of the best and worst. 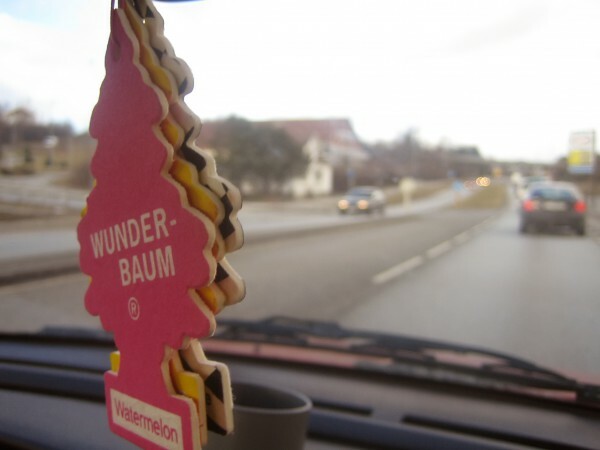 These iconic tree-shaped air fresheners have been around forever, and are available just about everywhere. They are cheap, but you usually have to buy them in packs of at least three–making it much more of a commitment. Best: A good rule of thumb for any air freshener–go with the cinnamon. But if you don’t want your car smelling like christmas in the summer, “royal pine” is not bad. Glade are masters of creating air fresheners, and their car versions are no exception. You also have to buy them in a multipack, but they are not as risky as an investment, since most scents are quite nice. Best: “Clean linen.” It smells like clean linen! Worst: none are too bad but “lavender and vanilla” errs a bit too close on the side of body wash/old folks home. Hawaiian breeze is a close runner-up, as the smell of mangoes is a little overwhelming. Refresh car air fresheners are everywhere as well, and they have a variety of options, including a lot of the clip-in ones that go in your air vents. They probably have the widest range of any brand. Best: “Summer breeze” and “fresh meadow” are just as pleasant as they sound. Worst: “Mixed berries” is not the best, they also have a series of mixed scents, which leads to a slightly odd aroma–particularly the fresh strawberries/cool lemonade combination. These come in little containers that can be placed anywhere in the vehicle, and have vents that allow you to ration the scent as you please. Best: A lot of them are rather strong, but “orange blossom” doesn’t make your eyes water quite as much as some of the others. In fact the citrus smell is quite pleasant. Worst: Again, they are all on the strong side, but “coronado cherry” is particularly difficult to stomach. Another brand that is very well known, and has a few different options for car air fresheners, though not quite as many as their other scent offerings. Best: Probably the regular “Gain original,” which can’t be beat. “Island fresh is also quite nice, but you might not want your whole car smelling of it. Worst: “Tropical luau.” Also “Greek seaside,” which smells of bad cologne. Obviously these are all subjective, but hopefully this has given you some guidance for the next time it is time for you to go air freshener shopping! For more articles, facts, and other fun stuff, check us out on Facebook.